I am happy and celebrating.My blog is six months old (growing as fast as a baby) and I finished one whole diary of recipes and started with the second one.What a treasure these recipe books are to pass on to next generation! 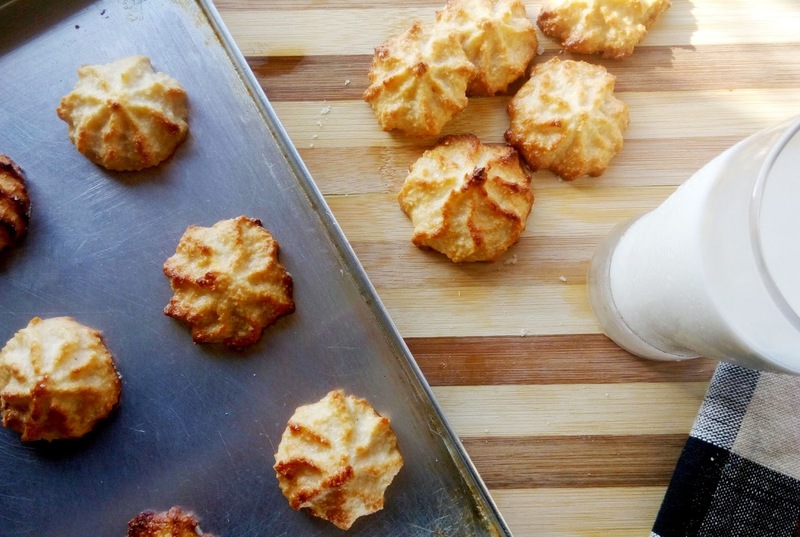 The foodie in me is helping me maintain this blog(inspite of my long working hours as doctor) and is also helping me and some others improve their culinary skills.This is the right time to celebrate with something truly fuss free.Coconut macaroons. 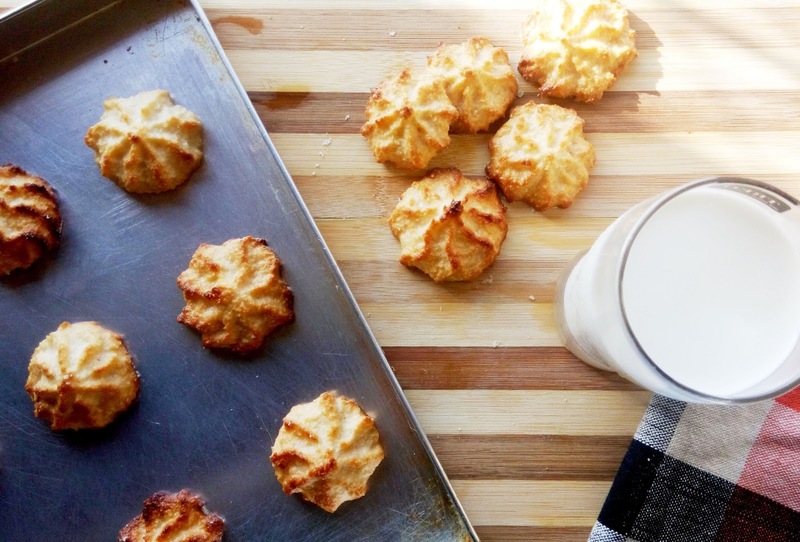 Coconut macaroons define easy baking! !I first had them in a local cafe years back.And I loved them so much that I had to try them myself(as usual).I got this recipe from a tullu friend of mine who makes everything possible out of coconut.Happy reading and Enjoy baking! In a large bowl,mix dessicated coconut,condensed milk ,all purpose flour,vanilla essence and salt.Mix them properly.Now add milk to this mix slowly till you get a batter which can be piped easily.I added 3 tbsp milk. Take a baking tray.Apply butter followed by flour on it or simply line the tray with parchment paper. Take a piping bag with a big star nozzle.Pour the mix into piping bag.Pipe the macaroons on baking tray but space them evenly. Preheat oven to 180degree celsius.Place the baking tray in oven and bake for 25 minutes.After around 15 minutes change the side of baking tray inside oven. Bake till macaroons are golden brown.Remove from oven and let them cool for 5 minutes.Serve with hot tea or coffee or milk. Wow shivani! They look really yummy. How much is one can of condensed milk? And how much is one cup? One can of condensed milk is 400 grams. One cup of flour is 150 grams. Cup mentioned here is the ones used for baking.These measurement cups are available at all baking related shops.It is always easier to measure using these measuring cups unless you have a weighing scale at home.Since weighing scale is usually not available at home hence metric conversions become tough.Hence most of the time my recipes show measurements in cup.Happy baking! Did you know that you can shorten your links with AdFly and get $$$ for every click on your shortened urls.